A bar unlike any other. With the ability to serve up to 300 guests, we deliver world class drinks in a setting of your choice, to suit any occasion and clientele. That sounds pretty good to us! 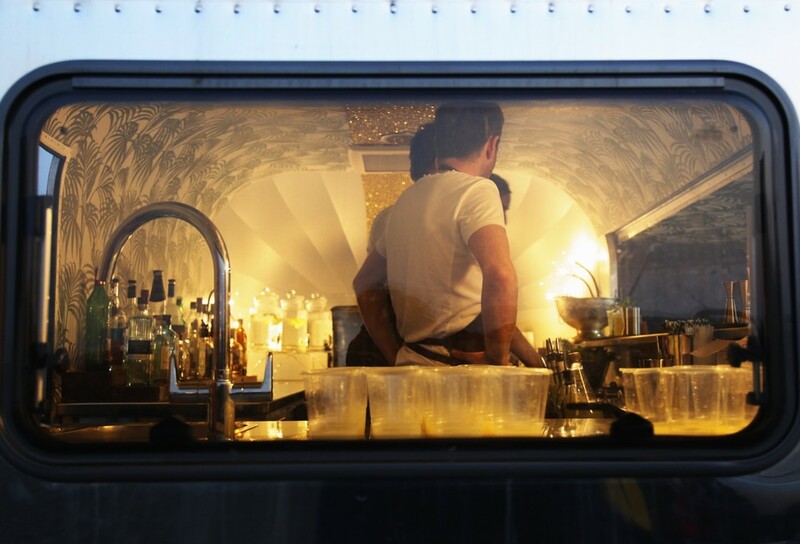 The Airstream comes fully fitted with all the luxuries of any modern day bar. It’s got a fully stocked back bar, three large fridges to keep all the beer and wine cold, a large central ice well allowing for quicker service, two speed rails, sound system and a large burco holding the hot water for your morning coffee. What else could anyone ask for? The perfect addition for weddings, festivals, markets and any space large enough for us to get through! The airstream can act as the centre point for your event, or simply be a wonderful addition to your other entertainment. We come fully prepared with shakers at the ready, fridges packed with beer and cork screws in hand! !